Spring is in the air! It is that time of the year. After several beautiful days, anticipation of new growth and rejuvenation is everywhere. We have endured another winter and are eager to welcome spring. Respectful Behavior- Our Hound Dog Students respected each other as they quietly passed through our hallways while those in grades 3-5 worked diligently on their MCAS tests. We trusted that they would give their personal best and we (as you should be) are proud of their efforts. Respect is a wonderful characteristic that requires daily effort and recognition. The MCAS assessments are very important. MCAS tests measure how well students have learned the academic standards set by the state. The results help us measure how much your children are learning and identify areas where extra help is needed. In Massachusetts, students must pass both the grade 10 ELA and Mathematics sections in order to earn a high school diploma. How can I help my child do well? Make sure your children get enough sleep, eat properly, and get to school on time. Regular attendance is one predictor of academic success. During test time, make attendance a special effort. Encourage your children to read. Parents, guardians, and siblings can share good books and discuss events to reinforce positive reading habits. Read with your child for a fun activity. Set times each day for study and homework. Provide your children with a quiet, well-lit comfortable space to study which includes important supplies like paper, pens, pencils, calculators, rulers, a dictionary and a thesaurus. Encourage your children to record assignments and due dates in their agenda book. Check your children’s homework to make sure it is done completely and to the best of their ability. It is important to reduce test anxiety for your children. Remember to talk about the test in a positive way and let your children know that you have confidence in their ability by focusing on their strengths. As a school learning community we have done a significant amount of research on performance character, the growth mindsets that foster success and effective effort. Effective effort is defined as “the hard work and learning strategies a person can use to deliberately get smarter at important knowledge or skills” (Saphier, Haley-Speca & Gower 2008). We, as a school community, respectfully request that you encourage your children to do their best, to show effort, to use their strategies and to have a positive attitude. These skills are important everyday however, a friendly reminder on the scheduled testing days is warranted. While we know that these tests will be challenging, we must encourage all students to do their very best. I would like to thank the Parent’s Association for all their efforts at our recent Trivia Night. This event demonstrated what wonderful things can be accomplished when groups of people work together to achieve a common goal. The proceeds from this auction will directly benefit our students. To our families and staff that participated in this wonderful event, thank you. 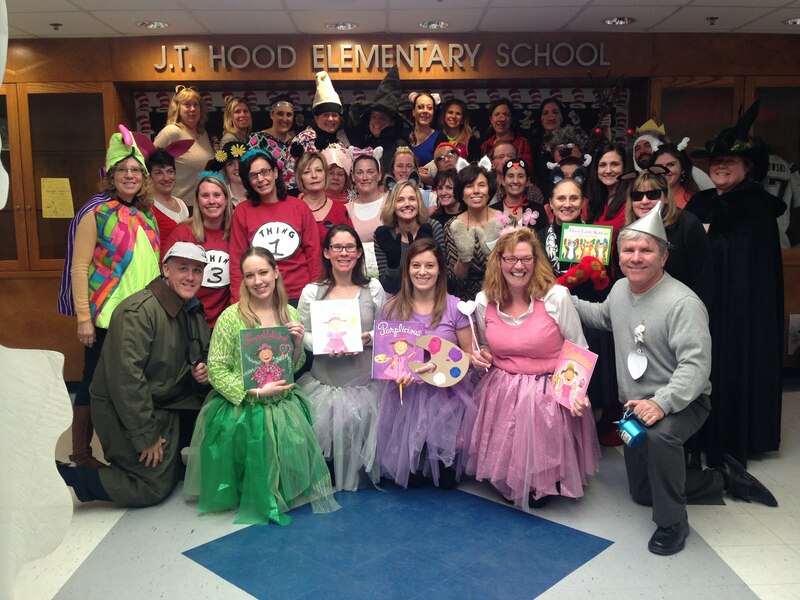 A special thank you to all of the volunteers who worked so diligently to make the J. Turner Hood School Trivia Night a huge success. The J. Turner Hood School community cordially invites you to attend our annual Open House & Art Show. This event will be held on Thursday May 30th. From 6:00-7:00 PM. This is a wonderful opportunity for your family to visit the school and experience activities in different classrooms and see student created art. As we progress toward the conclusion of the school year, we begin to hear from some parents who want to request a specific teacher for their child for next year. A letter will be issued on May 7, 2013 in regards to our schools class placement procedures. Please note that class placements will not be finalized nor will they be shared until Move-On Day, which will be held in June (more information to come!). Lastly, in regards to morning drop offs in our live line. Please be reminded that we have children that walk to school. I am respectfully requesting that all parents exercise an extra level of attention to their speed and driving habits. I am specifically requesting that we remain in one lane during the morning drop off in the live line. Student safety is of the utmost importance and we need your help.